Welcome to Schu Mortgage & Capital, Inc! Schu Mortgage & Capital is the Lending and Brokerage Arm of our Family Office. We currently work with a number of familys across the country to provide acquisition, disposition and lending services on commercial real estate properties. We have provided free helpful tips and suggestions for you to be more successful or to make your job easier when trying to obtain financing. We feel we are the best source for all of your commercial property needs, and we won’t rest until everyone else knows it. Let us know if you have any other questions. Feel free to use one of our interactive tools, or call us any time at the number listed above! We specialize in this type of an arrangement where the seller of an asset leases back the same asset from the purchaser and also has the option at a later date to buy the asset back. The specifics of the arrangement are made prior to the sale of the asset with the amount of the payments and the time period specified. A leaseback arrangement is useful when companies need to un-tie the cash invested in an asset for other investments but the asset is still needed in order to operate. Leaseback deals can also provide the seller with additional tax deductions. Use this free self-help tool to find out if this option would be useful in your situation. 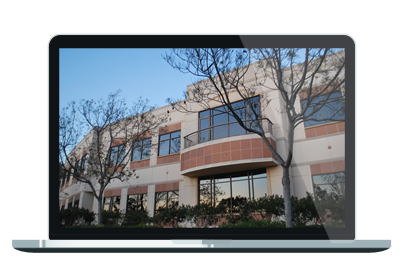 If you are looking for a commercial hard money loan on a California asset we have you covered. This is a specific type of asset-based loan financing through which a borrower receives funds secured by the value of a parcel of real estate. Interest rates are typically higher than conventional property loans because of the higher risk taken by the lender. Most hard money loans are used for projects and properties that are in some type of distressed financial situation, such as arrears on the existing mortgage or where bankruptcy or foreclosure proceedings are occurring. We also buy first mortgage notes and trust deeds in any amount on property located in all 50 states. To find out if your property qualifies for a private or hard money loan or if you have a mortgage note for sell please use this free self-help tool. Schu Mortgage & Capital will determine the best loan product for you during the underwriting and analysis of your loan transaction. At times we may recommend an SBA loan because of the guarantee from the U.S. government. Or, we may choose to use a conventional loan product if your loan request is not eligible for SBA financing. Rates and terms can differ significantly between conventional and SBA loans. Conventional loans can be priced based off of several different interest rate indexes or internally by a bank, while SBA loans are typically priced based off of the Prime index plus a spread and can allow for loans as high as 95% LTV. To find out what type of loan in which your property would qualify please use this FREE self-help tool. It’s quick, it’s easy, and the more questions you answer – the more accurate your results. You’ll receive the Commercial Loan information without any hassle! These are individuals that Schu Mortgage & Capital, Inc work with and trust to provide you with the same level of service you have come to expect here. The Schu Mortgage & Capital, Inc team is committed to providing the highest quality commercial financial services combined with the lowest rates available in your area. Our FREE, interactive Commercial Loan Wizard has been designed to assist you based on your individual Commercial Loan needs.